The Daily Bell is pleased to present an exclusive interview with Dr. Nathaniel Branden (left). Introduction: Dr. Branden (left) is a practicing psychotherapist in Los Angeles and also does corporate consulting. Dr. Branden offers workshops, seminars, and conferences on applying self-esteem principles to the problems of modern business. He addresses the relationship between self-esteem and such issues as leadership, effective communication, and managing change. Dr. Branden has a PhD in psychology and a background in philosophy and has written 20 books, which have been translated into 18 languages. More than 4 million copies are in print, including the classic The Psychology of Self-Esteem, originally published in 1969. In it, he explains the need for self-esteem, the nature of that need, and how self-esteem-or lack of it-affects our values, responses, and goals. His many books include Honoring the Self, The Six Pillars of Self-esteem, The Art of Living Consciously, and a personal memoir, My Years with Ayn Rand. Many of his books have been translated in to foreign languages, and worldwide have sold over 4 million copies. His most recent book- Self-esteem at Work – deals with the application of his work in the field of self-esteem to the challenges of business in an information age economy. This is a follow-up interview to one conducted late last year which can be read by clicking here. Daily Bell: Please answer these questions as if readers were not aware of your famous books, your articles or frequently quoted opinions. Thanks for this follow up interview. Daily Bell: In the past interview we spoke a lot about Ayn Rand, soliciting your thoughts and opinions. In this interview we would like to focus on your tremendously successful work and books. Tell us what Mastering Self-Esteem is all about and why have you made a special offer regarding it. 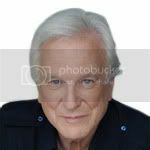 Nathaniel Branden: Mastering Self-Esteem is an interesting distillation of my ideas for personal growth. This was not prepared by me but by a number of people who wanted to support it so that different aspects of the psychology of self esteem were brought into play. It is complex weaving together of different books and articles all presented in an audio format to provide people with a very powerful way to build their self esteem and personal development. Daily Bell: Why is self-esteem so important generally? Nathaniel Branden: It has to do with what we think about ourselves. We tend to make our positives or our negatives true. So, if I don't feel, for example, worthy of love, I am very likely to behave in ways that will not make me feel happy in loved relationships. Business people get promotions and then get terrified because they don't think they can live up to it. They may then pursue behaviors that are self-defeating. There are a whole range of behaviors that are in part, influenced by where your level of self-esteem is. I would like to take this time to make one very important clarification. One of the mistakes that many people make, who want to support the idea of self-esteem, is that they make absurd, exaggerating claims as to what they can do. It's one force among many in the psychological system. It is one factor among many. Self-esteem as I describe it, is the experience that we are competent to cope with the basic challenges of life and are worthy of happiness. I can be very strong or competent in the area of business but a disaster in my private life. It's not that I have no self-esteem, but flawed self-esteem, an under-developed self-esteem. Daily Bell: How do you know, other than your own feelings? Nathaniel Branden: If the majority of your interactions are positive for yourself and the other person, chances are you know quite a lot on how to have successful relationships. If however, a lot of the time, you are not satisfied or pleased with your interactions with other people, chances are you have a problem with your relationships. Daily Bell: How does it help with leadership and managing change? Nathaniel Branden: One of the big misunderstandings among leaders in the business world is the failure to realize the extent to which the people that work under them are continually reacting to the role that the leader is playing. Leaders are meant to be teachers and inspire a champion for whatever the job of the business is to be. They don't necessarily realize to what extent the people under them are watching and absorbing their way of handling stress or pressure, etc. So the self-esteem of the leader can have very profound effects on what people around them do. Daily Bell: Poor self-esteem leads to self-aggrandizement? Nathaniel Branden: One of the problems with poor self-esteem in leaders, is they try to make themselves big and the people they are talking to small. Leaders with good self-esteem will tend to inspire confidence in the people that work with them. If they deal with people civilly, kindly, benevolently, fairly, justly, and project that they expect the best from people, then they make an enormous positive contribution. The great genius of leaders or managers, is not the great things they do, but the great things the people under them do. This is made possible by their attitude. In that attitude self-esteem is very important element, it's not everything but an important element. Now, regarding managing change, every change is a challenge to self-esteem, to our ability to manage what's being thrown at us. So much depends upon whether or not we believe in people and we believe in what they can do. As a leader, you won't get the best results by attacking your employees' self-esteem but by inspiring them. Daily Bell: Tell us more about your book Honoring the Self. Nathaniel Branden: That title came to me because in earlier books, I heard people say, isn't this just encouraging selfishness, an excessive self pre-occupation? Why aren't we talking about honoring the world or honoring other people? So, I wanted to talk about the importance of self respect, the importance of self-esteem, the importance of personal autonomy. Daily Bell: Which some people liken to navel gazing. Nathaniel Branden: Suppose you saw someone running around the track or getting nutritional guidance in eating habits, you wouldn't say, look at him, that's so selfish of the person. But when it comes to psychological issues or philosophical issues, that sentiment certainly arises. Is a pre-occupation with one's personal development a sign of selfishness? I don't think there's anything to apologize for. Daily Bell: Please explain how The Six Pillars of Self-Esteem, fits into this. Nathaniel Branden: Over the years, I was always fascinated by the differences between people who obviously had self-esteem and those that did not? Between continually asking questions and watching, I found and came up with six practices which seem to me essential contributors to healthy self-esteem. Daily Bell: So this is a kind of success equation? Nathaniel Branden: Again it doesn't imply that there is nothing else in the world that can be beneficial for self-esteem. But I have found these six ideas always proved useful and productive, especially within a practice setting. I will name them very specifically but not elaborate for purposes of this interview. The practice of living consciously; the practice of self acceptance; the practice of self-responsibly; the practice of self assertiveness; the practice of living purposely; the practice of self integrity. Daily Bell: You mentioned in our past interview that Ayn Rand wanted to stress that a rational code of morality was possible. Is it? Nathaniel Branden: Oh yes. Emphatically yes. That is what many people found in reading Atlas Shrugged. Not that Rand covered everything, but she provided a great foundation for a rational code of morality. Daily Bell: Why are compassion, kindness and empathy enormously significant within a pro-life code of ethics? Nathaniel Branden: Well ask yourself would you rather live in a world which these are regarded as values or would you prefer to be in a world where they are regarded, not as sins but only marginally significant or important? I think we realize that if people understood and accepted the value of simple kindness of compassion, of empathy, it works for human relationships, it works for the way people relate to each other. It makes for an altogether superior society. Daily Bell: Why are your books so successful? What chord are you touching? Nathaniel Branden: I suppose the thing I hear the most is that people are relating to the stories. This guy understands me. And I am proud of this clarity. I take very complex ideas and communicate in a very clear way. Daily Bell: Ayn Rand held that teaching "others above self" is evil. Agree or disagree? Nathaniel Branden: I don't use the word evil as frequently as Ayn Rand did. I would rather say it's destructive. Daily Bell: You have also stated that people don't understand that altruism actually DOES mean others above self . Nathaniel Branden: That's right. The word was coined by Auguste Comte in the 19th century. Others above self is what he meant by altruism. Daily Bell: Why is self-sacrifice is our highest virtue? This seems to stand Rand on her head. Rand didn't provide much guidance on how to develop in a more rational and benevolent way. Why not? Nathaniel Branden: Well, I think that she would first of all believe that she did. I think that she would believe that the applications in the direction of benevolence are obvious. And for some people it was. But it's not the best or the most powerful way to teach that particular method. Daily Bell: What do you think of Ludwig von Mises great work Human Action? Nathaniel Branden: I think that it is a masterpiece. It was one of the first books I read under Rand's guidance, when I wanted to understand capitalism. I think he was an extraordinary mind, I don't mean I agreed with every sentence in the book but I agree with the majority of it. I think it is brilliantly illuminating for understanding how the world works. Daily Bell: What is happening to the West today? Where is it headed? Nathaniel Branden: I think there is an undeclared war going on for the destruction of the Western world. I think the whole drift politically is away from almost all the values that made America that great country that is was. I think the news today is bad. I don't know what the long term consequences are going to be. I haven't yet read Forbes book on 'how capitalism will save us' but I would like to know! Daily Bell: What is your opinion on capitalism? Nathaniel Branden: I think it is the only political system that's ever been developed that produces conditions of well being for everybody who participates. Remember for all the years until the 19th century, the default condition of the world was poverty. Only in the 19th and more so in the 20th century, was most of the world lifted out of poverty. No other system ever did that. Daily Bell: Does capitalism produces wealth for all? Nathaniel Branden: There is overwhelming evidence that there is a clear correlation between freedom, productivity and wealth. So that, I would say, if you look at the empirical evidence, and not what your fantasies might be, you have to realize there is no substitute for capitalism. Unfortunately my fear right now is that people may have to learn the hard way, but I hope I am unduly pessimistic. I guess Monday, Wednesday and Friday I worry if the end of the world is coming. Tuesday, Thursday and Saturday, I'm more cheerful and optimistic we will land on our feet. That's a more honest statement on my position. Daily Bell: How can people survive the current downturn psychologically? Nathaniel Branden: They should be preoccupied with the question of their own options. It is important not to surrender to the feeling of being powerless. It takes great courage and great strength to keep going forward. I think self-esteem is very relevant there too. Daily Bell: What do you think of libertarian Congressman Ron Paul? Nathaniel Branden: I don't follow him close enough but the one thing I will say about Ron Paul is that the interest in his message is a good sign. It's an interesting crack in the wall. Daily Bell: Do you think President Barack Obama is doing a good job? Nathaniel Branden: If his goal is to destroy Western civilization, then he's doing a good job. He is spreading poison. So much dishonesty goes into his presentations to the world, both in the little things and the big things. My hope is that more people will wake up and be aware to the extent that they are being lied to and seduced and have to break free of their political addictions. Daily Bell: In the past 50 years, good or bad, what has been most significant in your mind regarding western culture? Nathaniel Branden: Firstly, in a negative sense, I can see the poisonous influence of the entitlement mentality, and the increasing abandonment of self-responsibility. So that comes to mind. Secondly, I can't think of anything worse than this administration we now live under. Daily Bell: As the West turns increasingly authoritarian, how does this affect people's self-esteem? Nathaniel Branden: That depends entirely upon what people conclude. If they see what the government is doing and they oppose it, they are in no way responsible for its destructiveness. Daily Bell: What books would you recommend? Nathaniel Branden: Six Pillars of Self-Esteem and Self-Esteem at Work. You will be glad I suggested it! Daily Bell: Thank you Dr. Branden. Self-esteem is an interesting issue for people because those who do not have it are doomed to struggle with numerous personality disorders. Chief among these disorders is paralyzing fear that one is worthless and unworthy of any of the blessings that life can bestow. Ironically, one might be posit that the more self-esteem one has, the less one is apt to act-out in a socially divisive way. Perhaps Nathaniel Branden might disagree with this but we see some congruence between his pillars of self-esteem and Abraham Maslow's hierarchy of needs. For Maslow, people need to grapple with deficiencies to begin with: the need for friendship, love, security, and safety. But once these needs are fulfilled, the over-arching desire that remains is one for self-actualization – the attempt to realize one's full potential. The strange thing about Maslow's hierarchy of needs however is that it does not necessarily sort through how one fulfills the need for self-actualization. We make this point because one of the role models that Maslow used was Eleanor Roosevelt. Here's what Conservapedia.com points out about her: "The widely-read conservative columnist Westbrook Pegler assailed Eleanor (and FDR) regularly. In public Eleanor ignored him. In private in 1942 she asked the FBI to investigate Pegler suggestion a column he wrote involved 'sedition.' Her actions belied her public reputation as a champion of First Amendment rights when it came to leftists. In fact, she wielded her influence as First Lady to push the Bureau on this case. Dissatisfied with the FBI's initial report on the Pegler's column, she prodded J. Edgar Hoover to expand the investigation until it took on a voluminous scope. Recent scholars (including Betty Houchin Winfield, Kenneth O'Reilly, and Richard W. Steele) have exposed Franklin Roosevelt's political use of the FBI and traced how he ordered wartime sedition investigations of anti-New Deal newspaper publishers, such as William Randolph Hearst and the Chicago Tribune's Robert McCormick. In the Pegler's case, there was a willingness to use similar tactics against a prominent conservative columnist. Moreover, it also becomes clear that, despite her reputation as a champion of free speech rights, Eleanor Roosevelt resorted to similar methods against a media opponent." Now it could well be that Eleanor Roosevelt suffered from a lack of self-esteem. Conversely, perhaps she was in a sense acting out because she suffered from a lack of love and physical closeness in her life. But the larger issue is one, in her case, of recorded behavior, which does not always seem to have been congruent with values attributed to her.